Technology has opened new pathways for delivering health care, including mental health services. The National Center for Telehealth and Technology (T2), part of the Department of Defense, offers multiple apps that address health care for service members in a variety of ways. At a talk with the MobileGov Community of Practice earlier this year, Dr. David Cooper, a psychologist for T2, said the apps are a way to provide services and make appointments more effective and efficient for patients. The apps can also reach service members who may be reluctant to reach out for help. T2 developed a PTSD Coach app [on Android and Apple] to assist veterans and active duty personnel (and civilians) who are experiencing symptoms of Post Traumatic Stress Disorder (PTSD). The app provides information about PTSD, a self-assessment, a symptoms tracker, and assistance in identifying support outlets, including a link to the National Suicide Prevention Hotline. 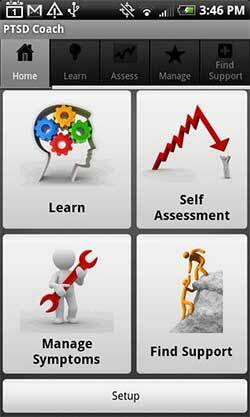 The app was designed to be used as in conjunction with treatment but can be used as a stand-alone education tool. Cooper and his team view mobile as a 21st century way to provide high-quality, research-backed services. Cooper’s team does field testing and conducts patient and provider focus groups. 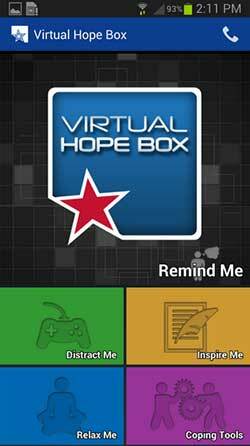 For Virtual Hope Box, they learned that more patients would use the virtual version than a physical version. The preferences and realities of healthcare providers are also considered in the app development process. A “prescription pad” with a list of all T2 mobile apps is one way that they have marketed the apps to providers. “We have to cater to both patients and providers: if I create something that isn’t going to fit in the provider’s workflow, they aren’t going to use it,” Cooper said.